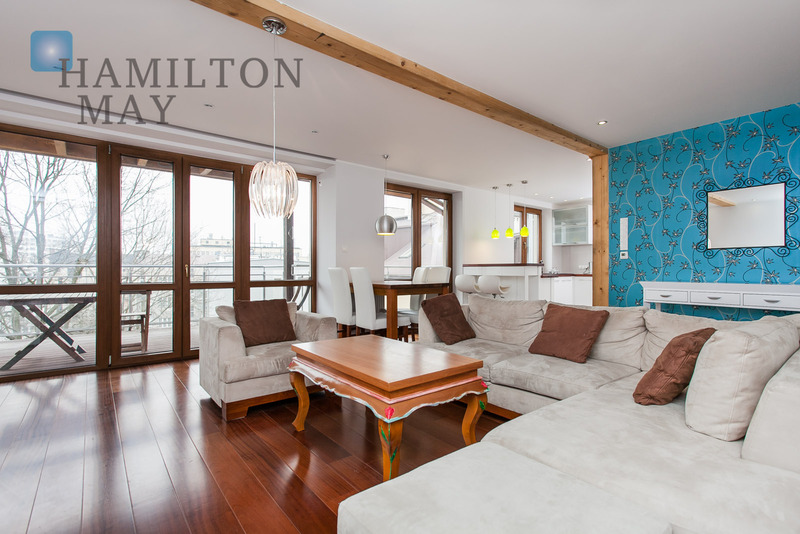 Hamilton May is pleased to present a spacious apartment offered for sale in a well-connected part of Krakow. Three bedroom apartments are generally less popular in Krakow, as most apartments made for the local market have a smaller configuration. Nevertheless, Hamilton May has responded to demand for three bedroom apartments to buy, mostly from wealthy locals and foreign buyers, and can source such apartments in various areas of Krakow. Due to the increasing demand for three bedroom apartments available in Krakow, Hamilton May always has a good selection of such apartments available for purchase, despite their relative scarcity. Three bedroom apartments can be bought in all parts of Krakow, from the old town to the suburbs, and in various standards, from basic to luxurious.